This post contains affiliate links. This means I may receive a small commission at no extra cost to you should you make a purchase through these links. Thank you for your support! 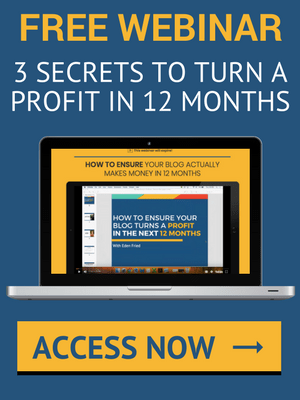 Want to take your blog to the next level but don’t know where to start? Check out our favorite blogging resources. When I first started blogging, I tried desperately to make my blog images look as clean and neat as all the other mom blogs I so admired. But no matter how hard I tried, I just couldn’t do it. Let’s face it, I’m a writer, not a flat lay expert. After scouring the internet for free stock images that half the blogging community wasn’t already using, I came across Ivory Mix’s free resource library. Each month, Kayla adds a few of her gorgeous premium photos to an online catalog that you can access completely free. How awesome is that? It didn’t take long for me to become hooked, so when Kayla opened up her VIP program for enrollment, I took the leap. I have never once regretted my choice to invest in an Ivory Mix membership. Her photos are modern, bright, and feminine. They are exactly the extra touch my blog needed to take it from that newbie aesthetic to professional blogger. If you aren’t caching in on the power of Pinterest, you’re missing out. Pinterest, by far, is my number one traffic driver (and a quick Google search will show you that most bloggers agree). Since utilizing Tailwind, my Pinterest followers have increased by 846% (no joke), and my Pinterest monthly viewers and monthly engaged have skyrocketed (we’re talking into the hundreds of thousands). What do all those awesome stats translate to? More blog traffic. Tailwind is hands down the biggest game changer I’ve found for my blog. My biggest regret as a blogger is not hiring a mentor earlier. I spent hours upon hours of my first year Googling and reading and listening to every podcast I could find even semi-related to blogging. I implemented so many strategies that simply were not effective, and my blog struggled because of it. In September, I joined the Bread & Butter Blogging University under the guidance of Eden Fried. Hands down the best decision I’ve ever made in my blogging career. While her step-by-step online courses can’t be beat (learn how to grow an email list, create an opt-in, launch a digital product and so much more), it’s her online community that I have found totally invaluable. Never have I felt so supported. A post to the BBBU Facebook group is almost always responded to within ten minutes or less by a member of the community, and Eden makes herself endlessly available to her members. She hosts weekly live Q&As, commits herself to “office hours,” runs bi-weekly mastermind calls, and is continually present in her group (something you don’t often find in larger membership sites). Still skeptical? Eden is launching the free Rebel Boss Summit February 26th through the 28th. Spend three days learning from digital marketers and creatives how to create and successfully launch a digital product. The summit is free and completely online. Click here to register. I don’t know about ya’ll, but the aesthetic of a site can make or break a blog for me. I LOVE sites that feel clean and light. Something with a modern and feminine touch. And I knew when I started my blog that I wanted it to feel the same way. I found exactly what I wanted at Studio Press. Studio Press provides high quality, fully optimized WordPress themes (including the one featured on this site). Their themes are clean, modern, and totally worth the investment.